Easy to assemble with a single Phillips screwdriver! You can still experience the satisfaction of building your own model! Motor with incorporated ESC Amp realizes exceptional value.  Kyosho’s knowledge in R/C buggy design accumulated over so many years has been fully applied to realize the ultimate beginner buggy experience. Install the pre-built shocks and gearbox onto the chassis one section at a time with the included Phillips screwdriver and snap-on the body panels to the chassis. In accordance with its design principles, all aspects of the EZ Series are designed for simplicity without compromising its realistic characteristics. And with ESC Amp and motor included, the price is as friendly as ever. The balance between cheap toy R/C cars that break at first contact and the expensive hobby R/C cars for hard-core enthusiasts has been reached. You only get a sense of appreciation when you buy something that meets or exceeds your expectations form of this sand buggy will not disappoint as it tears across off-road terrain, just like a real racing buggy.